With the help of our supporters and donors, and the donations matched by Angel Care Dental, we raised over $12,000! 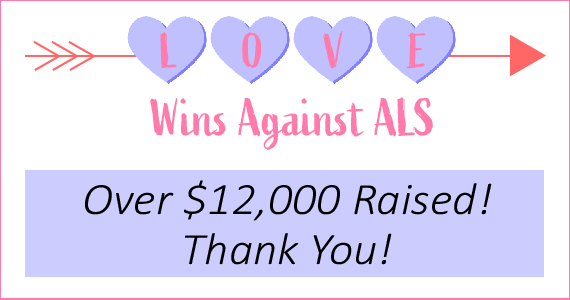 Thank you to everyone who helped spread the love within the ALS community. Because of you, we can continue to believe that #LoveWinsAgainstALS.